Just a week into her new role, Elegant Resorts’ new managing director Lisa Fitzell speaks to James Chapple about ‘going full circle’. Elegant Resorts’ new managing director has confirmed the operator will place greater emphasis on working with agents in the coming year in her first trade interview since she started in the job. Lisa Fitzell took the helm at Elegant Resorts on April 9, replacing Michelle Sephton, who stepped down after more than 20 years to “take some time out and rethink her future career aspirations”. Fitzell’s 30-year career has been international, to say the least. She’s worked in Toronto and Sydney for Goway Travel, in London for Tui specialising in its Australasian product before spending more than five years at STA Travel, also in product development. Most recently, Fitzell’s career took her to Bangkok, where she managed 600 staff across 12 countries for Diethelm Travel. But Fitzell hails from Preston – previously holding positions at Tailormade Travel and Gold Medal – and speaking to TTG this week, she described a feeling of coming “full circle” when she arrived at Elegant Resorts’ Chester headquarters. Increasingly specialised tailor-made travel and new quality product will be a key focus for Fitzell, as well as working more closely with the trade. Matt Vlemmiks, Elegant Resorts’ head of product and commercial, told TTG in January 40% of the company’s business was generated by agents. “We offer lots of trade benefits, including loyalty points,” said Fitzell. “Agents are very different to how they were even five years ago, though – they are specialising more and more too. 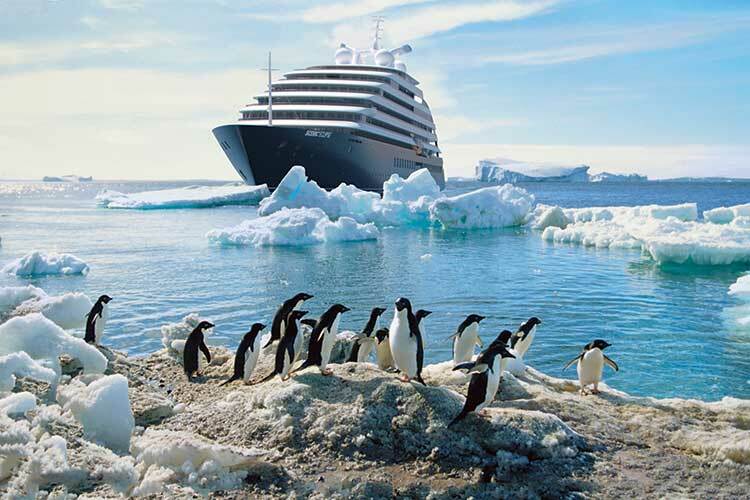 The operator has recently launched Antarctica, with Iceland, Costa Rica, Tanzania and Japan to follow this year. Its growing villa, ski and cruise offering will also be developed by dedicated product teams. However, Fitzell’s immediate focus will be much closer to home. “I’ve been holding sessions with each department,” she explained. “I’m trying to meet every employee. It’s all about the people, and the numbers follow. “I’ve worked with leaders who have not listened,” she added. “People must buy into you. She continued: “It’s a fantastic brand, great at personalisation, on the ground care and after care. Lots of our staff have worked here for more than 10 years too. On a personal level, Fitzell explained she would like to stay put “for a long time”. Elegant Resorts is planning a number of celebrations, events and special offers to celebrate its 30th anniversary year in 2018.